The response in 2017 lays the groundwork for handling future emergencies. When the high wind and rain blew through Litchfield in the early hours of Oct. 30, 2017, it didn’t seem so different from other storms that have rolled over Maine. The power went out, but that didn’t worry the Christmans on Hallowell Road. “We were able to get around,” Jana Christman said. A tree had fallen across the road, but it was easy enough to drive through their pasture and take down some gates to get out onto the road. But when their daughter headed out for school toward Route 197 in the other direction, a tree was down there, too. 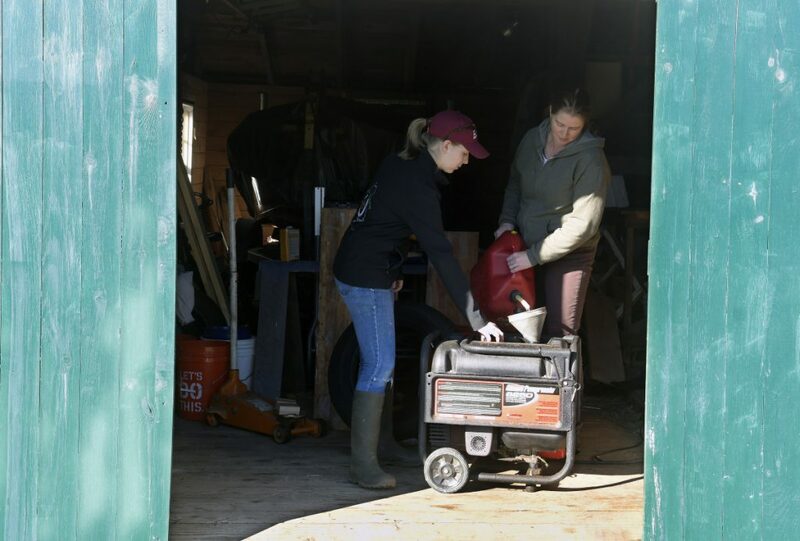 About five days earlier, heavy rain had fallen across the region, and even as that system was moving out, weather forecasters warned of a nor’easter that was on a path to hit Maine, bringing high wind and even more rain. By the time the storm hit, it had grown in ways that were unexpected and hard to prepare for. It brought heavy rain in some places and flash flooding. Strong wind blew down trees and power poles. More than half a million people in Maine were without power, some for more than a week. Schools, government offices and businesses were closed as people worked to restore electricity, clear roads and make repairs. While forecasts had predicted when and where the storm would hit, people were not prepared for the power of the storm or what it would take to recover. Even a year later, the influence of the storm is still being felt. 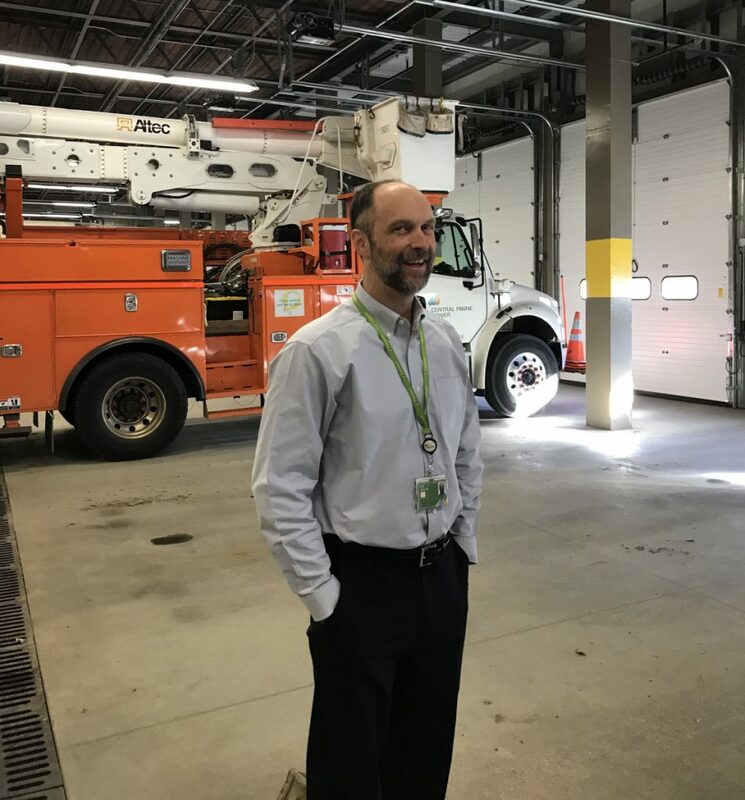 On Friday, Kevin Elwell, director of electric distribution at Central Maine Power, had already spent hours preparing for the nor’easter that moved through the region Saturday. “As part of our planning process, which we have been doing for almost a week, we remind ourselves that it’s the one-year anniversary, and whatever lessons we learned we take forward,” Elwell said. Kevin Elwell, director of Electric Distribution at Central Maine Power, talks Friday about how technology is improving the company’s response to widespread power outages. As it happens, Saturday’s storm brought rain, snow and wind and some power outages, but nothing close to what happened a year ago. In the days leading up to the 2017 storm, preparations were ramping up across the state. It was an unusual storm last October. What was predicted to be a typical nor’easter ended up as something more, strengthened by moisture and energy from Philippe, a tropical storm in the Atlantic Ocean. By Friday, the weather service was briefing emergency managers about the coming storm, which was expected to bring rain and wind with gusts up to 50 mph. Throughout the weekend, weather service advisories signaled conditions would be worse than initially expected. Monday brought rain and around daybreak, an intense period of strong and damaging winds, fueled by the tropical system, blasted through the state. “We ended up with gusts in the mountains and the foothills of 50 mph to 60 mph, and 60 mph to 70 mph on the coast,” Jensenius said. Perhaps as significant as the speed of the winds was their direction. That difference of direction, as well as the already rain-soaked ground, could have contributed to the large number of trees that were uprooted in the storm. Elwell said when the trees started falling, the company’s advanced metering infrastructure lit up, indicating where outages were happening. “I saw it at about 5 o’clock in the morning, and it was colorful,” he said. At first, the impact looked typical, but as the day went on outages topped 200,000 and 300,000. “Then it started entering in areas we had never been before,” he said. That’s when outside resources started to be called in from across the Northeast and eastern Canadian provinces. At midday, the outages peaked. Maine, he said, is a challenging state to serve with electricity. “We’re the most heavily forested state in the country, and we have a high level of ledge or rock for digging,” he said. Setting poles in ledge is hard, and there are only so many specialized pieces of equipment that can dig holes for poles, and deploying them can take some time. “What we can do is make the impact of those events less,” Elwell said, including using a pole with a larger diameter, which are more rugged, as well as using more covered conductors to make them more resilient. At the same time, cutting the outage time is also a priority, he said. Technology has also played a role in improving storm response. Elwell said during the ice storm in 1998, finding help was not just a matter of making a single conference call to a mutual aid group, as is now the practice. Two decades ago, employees might spend hours flipping through paper directories and calling individual utilities. Technology is also used in being able to remotely shut off power so the time it takes to make repairs can be shortened. “There is a general consensus that more frequent, more intense storms are likely because of the climate we’re in right now,” Elwell said. That’s part of the reason CMP is pursuing a plan to strengthen the infrastructure. On the ground, the breadth of the storm’s devastation was sometimes hard to grasp. Like the Christmans, many people were stuck at home, unable to get past downed trees and wires. In Gardiner, the storm tore open the roof and ventilation system of the James A. Bragoli Memorial Gym, leaving a hole about five feet across that let in rain, covering the floor in about 2 inches of water. The damage closed the gym for about six months while repairs were made, Gardiner Area High School principal Chad Kempton said. Across the region, fallen trees blocked many roads. In Litchfield, the Christmans think about preparedness a year later. They make sure they have lamp oil, candles and flashlights. They have water tubs for the horses and a woodstove for heat in case the furnace doesn’t run.